Gift the gift of time this Valentine’s Day with these printable Valentine’s Day Coupons. I always love when my kids give me Valentine’s Day Coupons and I wanted to return the favor. These valentine coupons are full of family friendly activities to bring you closer together and show love for each other during the holiday of love. 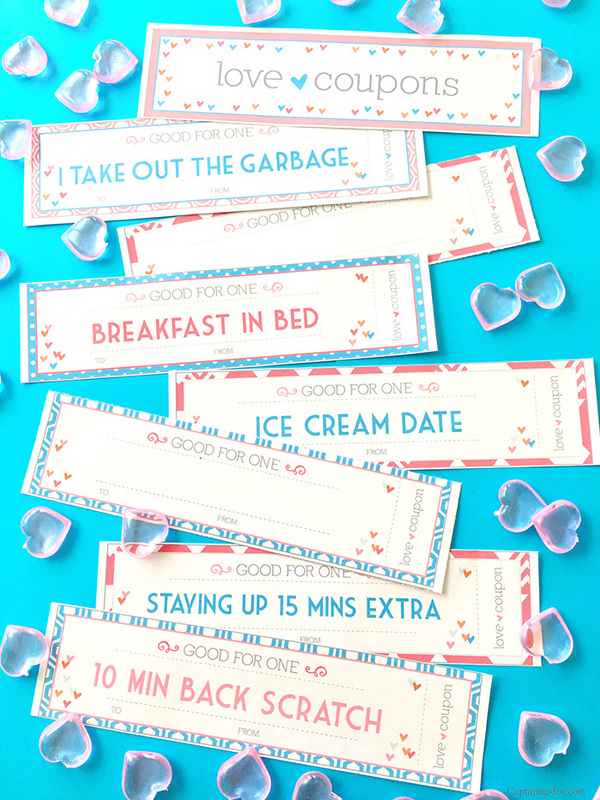 It’s such a fun heartfelt gift to give LOVE for Valentine’s Day and these coupons are just that. The gift of love that keeps on giving. Personalize your own Valentine’s Day Coupons. In this 4 page PDF, you will find 1 sheet (4 coupons) of blank coupons, to personalize with activities that your family enjoys. Add whatever you like to the existing 12 coupons, or print that page off multiple times to make a book of your own. There are a lot of options to personalize the coupon book for your family. What will you write on the blank coupons? What are your favorites that you see on the existing coupons? I could use a back scratch any time! I’m in love with these fun designs and colors, my designer Jessika just gets me when I ask her to create something! If you love Valentine’s Day as much as I do, see more Valentine’s Day Ideas <——-RIGHT THERE on my site!